As bespoke designers, we will always give our clients the independence to decide which kitchen appliances to invest in. Consequently we do not have any brand affiliations or partnerships. We do however have an opinion on what products and brands have merit. 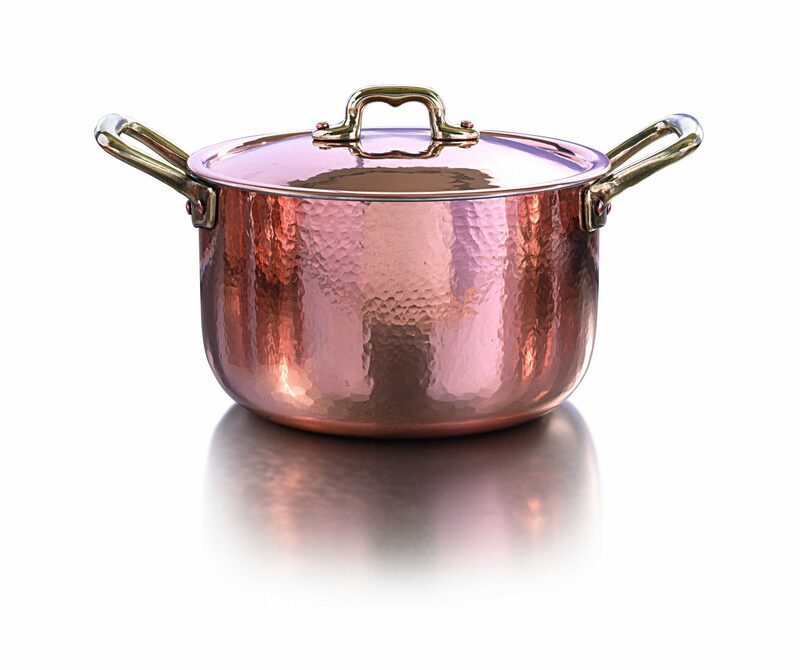 This month we are going to discuss Italian range and kitchen accessories brand, Officine Gullo. 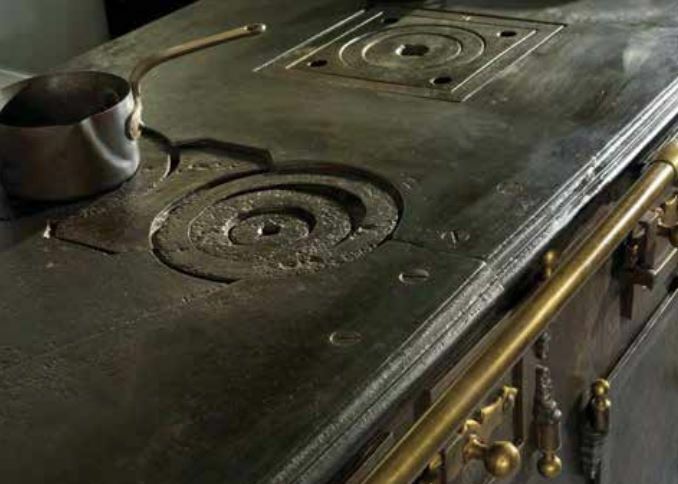 The company started in earnest in 1990 when Carmelo Gullo purchased an old range oven made in the early 1800s by the Massetani workshop in Florence. This gave the company the perfect heritage platform from which to build the company. The first thing you notice when you see one of Officine Gullo’s ranges is their distinctive and robust period styling. These are ranges that have been made for heavy use, and they look great in a country house or period setting which is were Artichoke spends much of its time designing kitchens. With a pedigree in making professional kitchen equipment, these are cooking ranges that will see off almost all the rigours of the domestic environment with relative ease. The frames are created from 3mm heavy gauge solid stainless steel plate with solid brass detailing. The high performance gas burners (see below) are solid brass which sit on chrome cast iron (the burners can be engraved personally if you want). The griddles are made from cast iron and the ovens and trays from scratch resistant stainless steel. Make no mistake about it. These machines (that’s what they are referred to internally at Officine Gullo’s Florence HQ) are built well enough for Michelin star restaurants or busy country house kitchens. 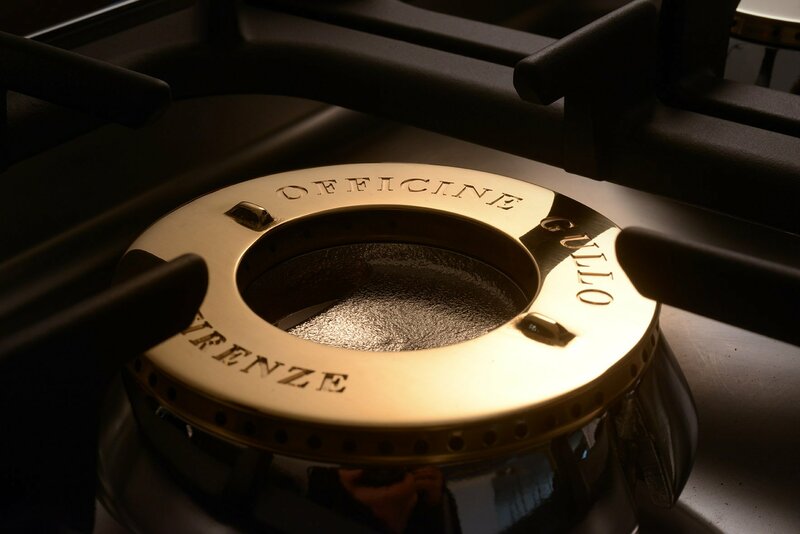 The burners form an important part of the Officine Gullo product. As well as their solidity, they are equipped with automatic flame stabilisers and safetly valves. It is the solidity of these appliances which is most impressive, and their looks are supported by the quality of their finishes which come in burnished or polished brass, polished or satin chrome, polished or satin nickel, or gold. In addition to that, designers can choose from 212 colours or even colour match to to any RAL. The ranges are available in any width above 1 metre and in depths of either 600mm or 700mm. 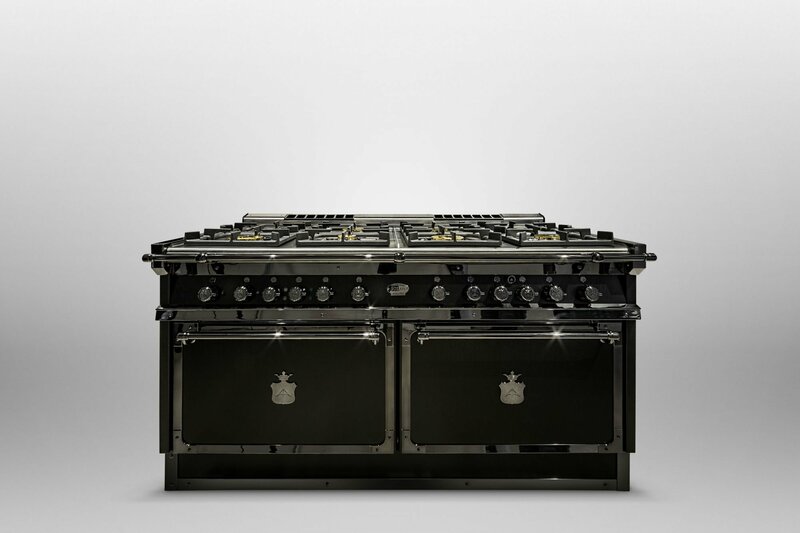 There are also over 30 different range top options available for the cook tops in both gas and electric versions. The variety of options is impressive, including steamers, a lava stone barbecue, a heavy gauge cast iron coup de feu (an essential cooking appliance in professional kitchen), an induction cooktop, a deep fryer, a professional pasta cooker (which takes 40 litres of water) and a professional non stick fry top for cooking meat, fish or vegetables (with mirror finish to help cleaning). The electric or gas stainless steel ovens have a capacity of up to 200 litres, which is plenty for domestic cooking use. With such distinctive styling it comes as no surprise that Officine Gullo has developed a number of accessories to compliment their products. 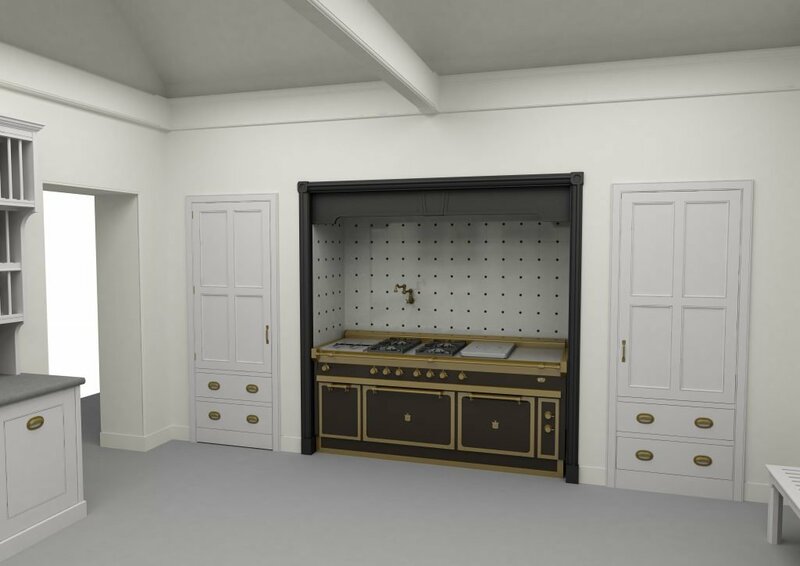 The ranges are impressive and Artichoke has used the sinks below for its kitchen designs on numerous occasions including in this bespoke kitchen design for a country house. 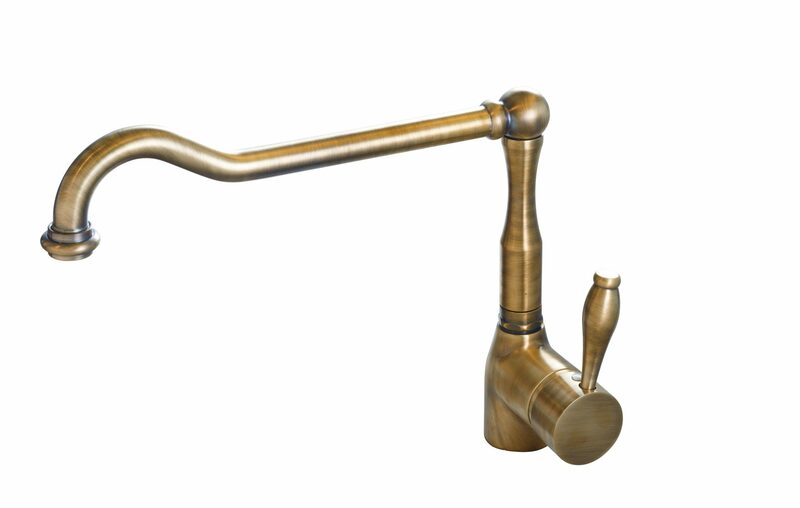 They are well made, incredibly sturdy and look particularly good in a period kitchen setting. In conclusion, Officine Gullo has its place. 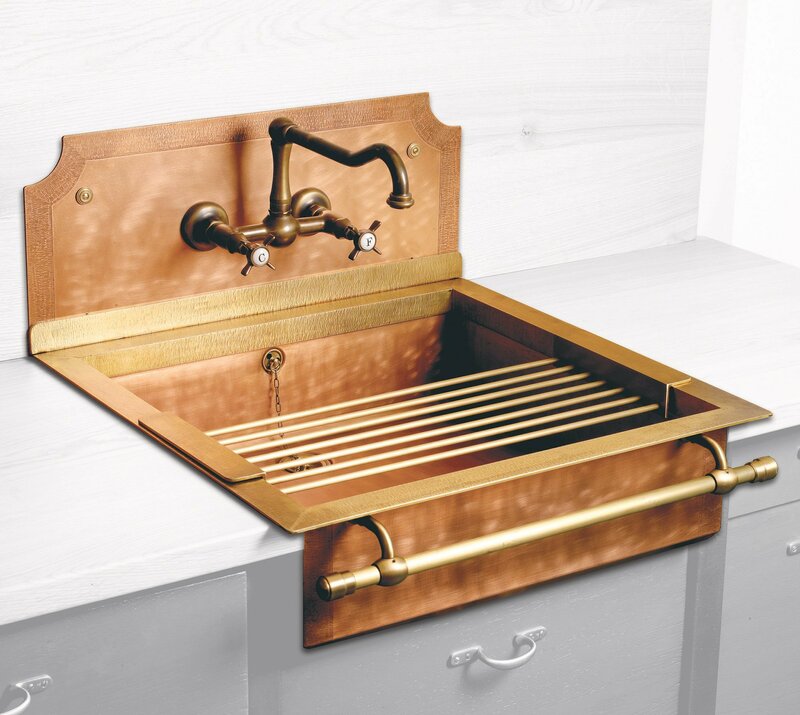 It has a certain specific renaissance style which will suite certain kitchens better than others. It certainly compliment’s Artichoke’s kitchen designs which are more classical in nature and the equipment is as robust as you will find anywhere. It is hard to fault in the right setting and the company’s commitment to quality reaches our standards. Discussions regarding other appliances manufacturers Artichoke works with can be found here. 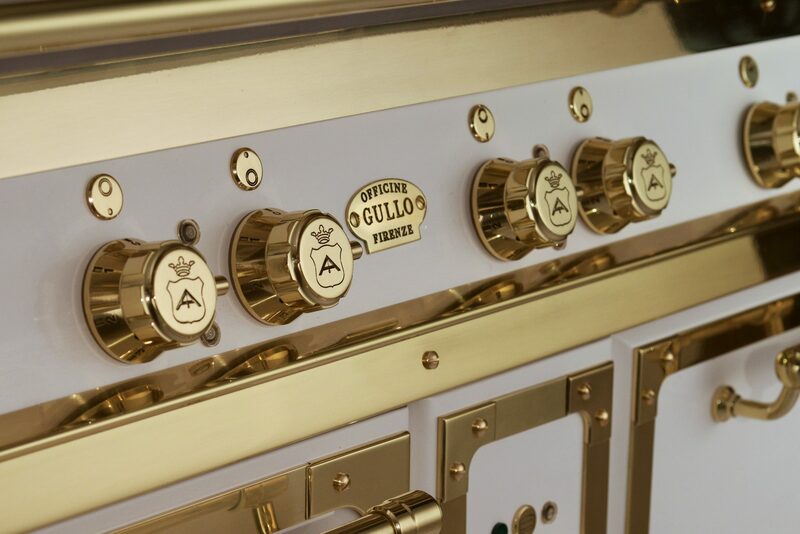 To discuss our experience with Officine Gullo, contact Artichoke on +44 (0)1934 745270 or contact us.